This is a great eco friendly product review coming from Eucalan. Eucalan’s washes are non-toxic, biodegradable, phosphate and petro-chemical free. The packaging is recyclable, and it’s an eco-friendly alternative to dry cleaning (but test fabrics for color-fastness first). This is a great product if you are a mom on the go. It comes in 4 different varieties. Natural, Lavender, Grapefruit , and Eucalyptus. You can cut back water use by at least 50% using Eucalan. The lanolin in Eucalan and the essential oils used to scent the product act as natural fabric softeners and help prevent static cling. Before you begin: If this is the first time you have washed the article and the article contains more than one colour, ensure it is colourfast before immersing in water. To test for colourfast: dampen white 100% cotton cloth and press against coloured area. If colour transfers on to the white cloth, the article is not colourfast and should not be immersed in water. If it is immersed, the colours may run into one another. 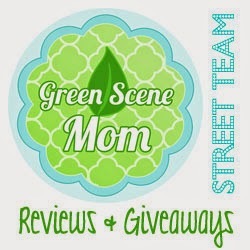 Want to win a great gift pack that retails for $20? All of the scents are really nice! Follow on GFC as Maria Ivey. I also entered the Softbums giveaway. i reviewed your blog on alexa as hallianna sitte and also entered in the madre labs giveaway. I've found amazing green tips from GoingGreenToday.com which is an online Personal Green Coach. Sign up (It’s FREE), answer questions about your lifestyle for a green report AND get a personalized 90-day green action plan. Each day, l action is delivered, tailored to my lifestyle, interest and budget. Actions follow a simple format -what to do, how to do it, why it’s eco-important and how much you’ll save. Your GoingGreenToday blueprint is designed to save YOU $2000 this year, and reduce your “footprint” by 1/3, without spending a dollar!! It's awesome!!! Here is your button on my site. I entered the my breast friend giveaway.